Park 840 East, Building 100 is a Class A, 558,600 square foot distribution/logistics facility located at the southeast corner of Central Pike and I-840 in Lebanon, TN, east of Nashville. 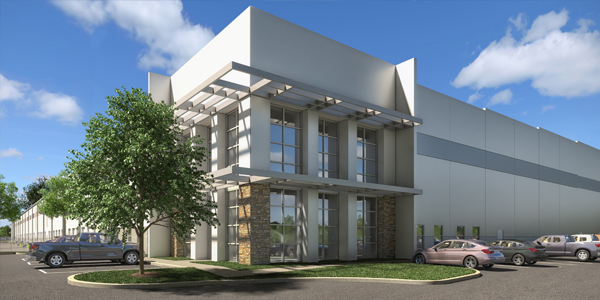 The location provides highway visibility and convenient access to I-840 and Nashville’s extensive interstate system that connects distributors to major markets across the Southeast and Midwest. The building will feature concrete-tilt panel construction, cross-dock configuration, 36’ clear height, 56’ x 50’ column spacing, 62.5’ speed bays, 96 dock doors + 4 drive-in doors and 113 trailer stalls. Completion is scheduled for Fall 2018.